Before there was T. Thomason, there was Molly Thomason – but for a while, there was Matthew Thomason. Because trans people still face threats of systemic violence and societal stigma, it’s difficult to get a sense of the scope of the transgender population. By the U.S. National Center for Transgender Equality’s estimation, they make up between 0.25 and 1 per cent of the public. As low as that might sound, trans people are represented even less in cultural discussions – in music, in pop culture and in the media itself. “I don’t think it’s any secret that the T in the LGBTQ+ alphabet is one of the letters that’s had the least attention,” Thomason says. But a greater understanding is slowly surfacing. Caitlyn Jenner, the reality TV star and former Olympian once known as Bruce Jenner, revealed her new name on the cover of Vanity Fair this month. She’s the latest in a short, but growing, number of openly trans celebrities, including, on the small screen, Orange Is the New Black’s Laverne Cox and Isis King of America’s Next Top Model. Laura Jane Grace, frontwoman for punk band Against Me!, helped draw attention to trans issues when she came out as a woman in 2012, shedding her birth name Tom Gabel. It was a major milestone for trans awareness – especially when the group’s subsequent album, Transgender Dysphoria Blues, documented the struggle behind her transition. Jenner and Grace have become trans pop-culture figureheads; Jenner will soon star in a new reality show, while Grace has a regular advice column at Vice, and recounted her first year as a woman in Cosmopolitan. Those publications and others have since ramped up their coverage of trans stories, including the vastly disproportionate number of trans deaths by homicide and bullying-related suicide. Still, the few stories that come out tend to align with broader media obsessions: celebrity, violence, news of the day. They rarely address the world of nuance that exists within the trans universe, such as non-binary identity. And unless there’s tragedy involved, ink and pixels don’t often cover everyday trans people, including independent artists, making their own small differences in the world. Thomason was born in Britain and grew up in Antigonish, N.S., surrounded by an arts-focused family. Their mother, Shelley Thompson, is a screenwriter and actor, and plays Barb Lahey on Trailer Park Boys; their father, Ed Thomason, is the artistic director of the local community theatre company and Festival Antigonish. It was through that festival, seven years ago, that Thomason realized they wanted to make music. At a concert celebrating the works of Bob Dylan, the 13-year-old joined a crew of experienced musicians to perform You Ain’t Going Nowhere. It was intoxicating. “Everybody in the audience was on their feet and singing along,” Thomason recalls. Home to St. Francis Xavier University, Antigonish is a tiny, historically Catholic town – people call it Nova Scotia’s “Little Vatican” – but it’s also a highly artistic community. When Thomason came out as gay around the time of the Dylan tribute, they were surrounded by supportive friends and family. They put out their first album, Through the Static, as Molly Thomason at age 14, and spent their high school years zig-zagging around Nova Scotia with their mother, playing shows. “It was a bit like being a hockey mom,” Shelley says. Soon came another album and a move to attend the University of Toronto in 2012. They dropped out after their first semester to focus on making music full-time, and released their latest record, Columbus Field, in 2014. 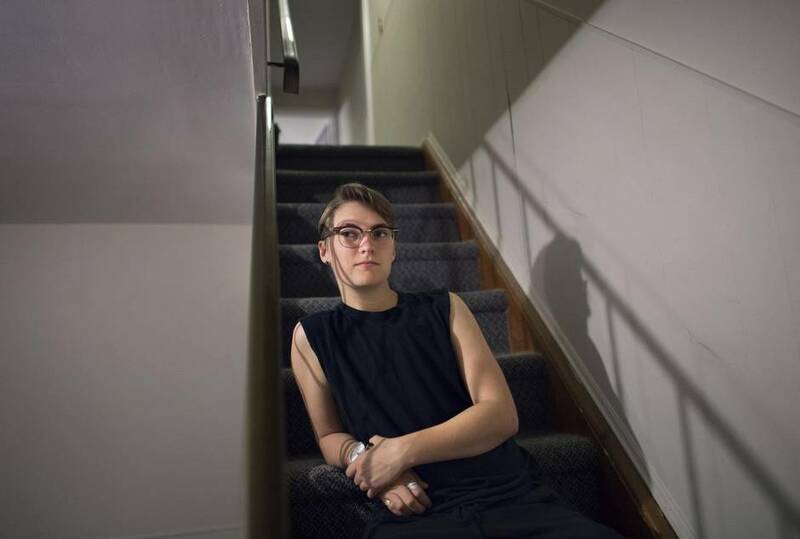 Thomason spent the next few months discussing gender identity with family, friends and members of the trans community. By fall, they started identifying as trans to a small group. After years of going by Molly T., they befriended a hotel doorman named T. while on tour and thought the name was “so cool” that they shortened their own to match. They later flew home for the Music Nova Scotia Awards and to star in a short film their mother wrote. It was an awkward, in-between time: the film role was female, and they were nominated for Female Artist Recording of the Year at the awards. After some earlier, vague discussions, Thomason came out as trans to their parents in an e-mail just before the holidays. At the same time, Thomason approached their manager, Sheri Jones, about their gender identity. “All you have to do is figure out what you need to be comfortable,” she told her client. It was Thomason’s first vote of confidence from the industry. It wouldn’t be their last; they’ve received nothing but support from everyone they’ve worked with. While there’s a greater understanding of the trans community than ever before, many people still have a hazy, dated understanding of trans issues – not knowing, for example, that being trans has everything to do with self-identity, rather than surgery or hormone therapy, which are simply choices some trans people make. Grace, of Against Me!, has helped lift some of the haze. But while Rolling Stone declared her the first “major rock star” to come out as trans, there were others that laid the groundwork. Some of the world’s more prominent trans musicians, in fact, hail from Canada. Rae Spoon, a multiple Polaris Music Prize nominee whose work has explored both country and electronic music, has identified as trans for more than a decade – first as male, then as non-binary. And Lucas Silveira, frontman of Toronto rock band The Cliks, has been widely credited as the first out trans man ever signed to a major record deal, back in 2006. 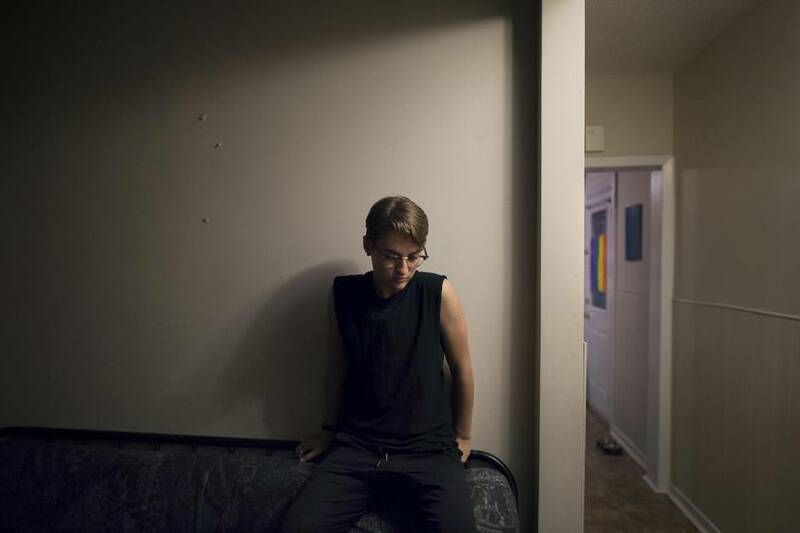 While young trans people regularly come to Silveira for advice, he hasn’t mentored anyone as closely as he has Thomason. 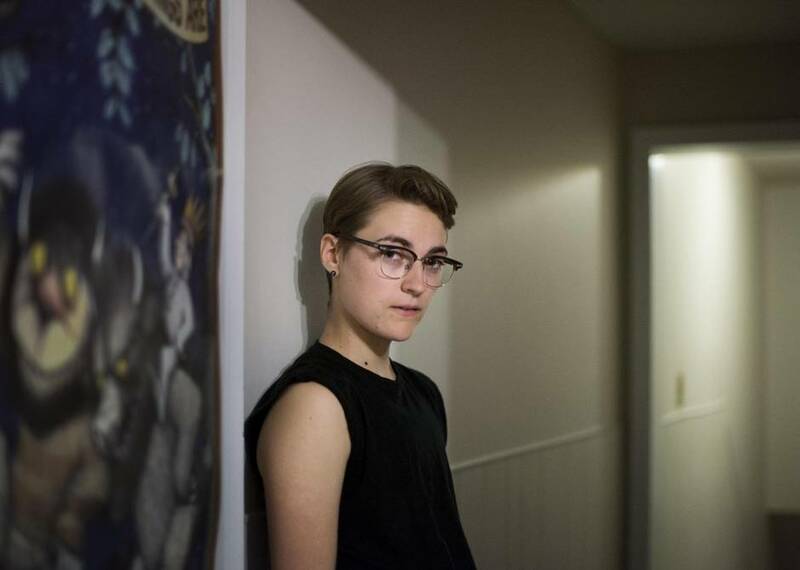 They first discussed trans identity last fall, just before Thomason flew home to Nova Scotia, and have kept in touch since. “It’s amazing to see how they’ve progressed,” Silveira says. When Spoon first came out as trans in 2001, “it was pretty rough.” Over time, trans issues have become better understood, but there’s still much work to be done for fair trans representation in the arts – especially music.